Ingle Burrow is the ideal home away from home in the heart of the Lake District. Blending period charm and contemporary style, this delightful Victorian cottage sleeps 5/6 in three bedrooms over three floors. The first storey bedrooms are both en-suite - the double bed with TV and a fabulous iron bedstead and the single room with a daybed. In the eaves are a further zip-to-link super king size/twin bedroom and period-style family bathroom. 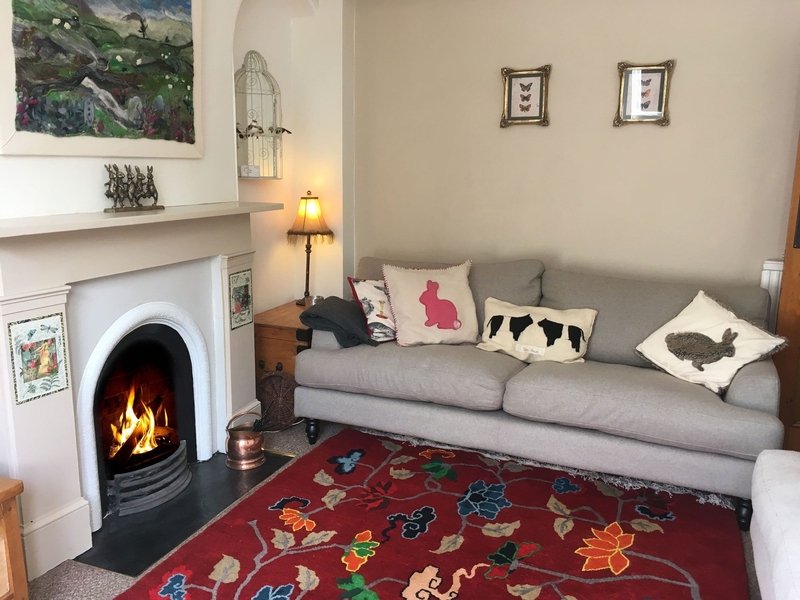 A light and lovely living room with open fire, dining area with log burning stove and fully equipped kitchen are all finished to the highest standard and there's a handy utility room with washing machine and tumble dryer. The patio garden is a delightful sun trap ideal for dogs and children as it's fully enclosed. There's also off road parking for 2 cars. 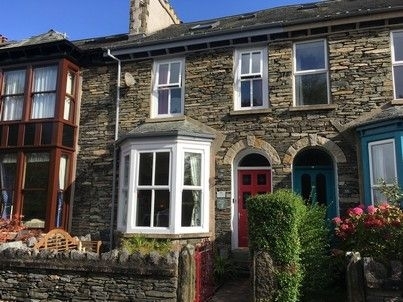 With all the delights of Windermere and the Lake District on the doorstep, Ingle Burrow offers first-class accommodation in the Lakes at any time of year. Gas central heating with open fireplace and log burning stove. Two gas ovens, gas hob, electric grill, fridge, freezer, microwave, dishwasher, washing machine, tumble dryer, TV and DVD (living room), TV (master bedroom), WiFi. Gas and electricity included. Bed linen and towels provided. Travel cot and high chair available. Please note: Minimum 14 days notice is required to make super king size zip-link bed as twin beds.